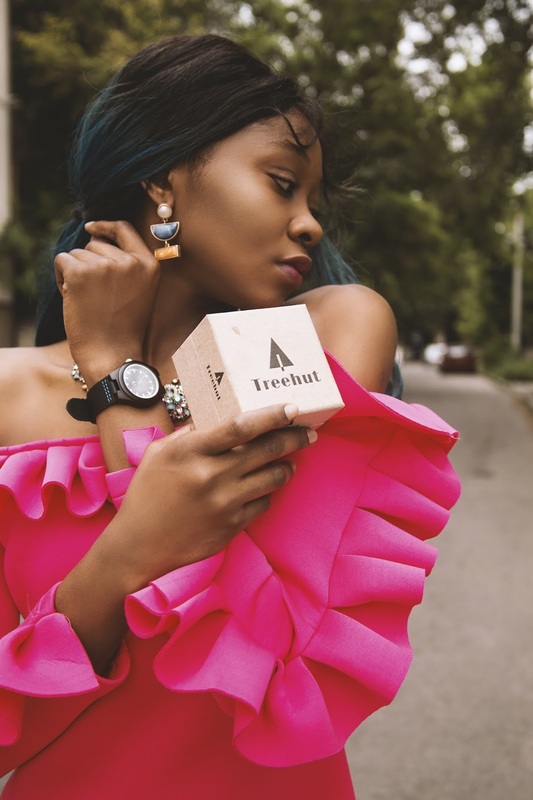 The round and minimalistic design of Tree hut watches pays respect to classic lines. A combination of high quality soft genuine leather strap comfortable wearing experience and real ebony wood makes this model a real eye-catcher for both men and women. The Theo Blue wrist watch has its own characteristic look making it extremely highly valued wood material. 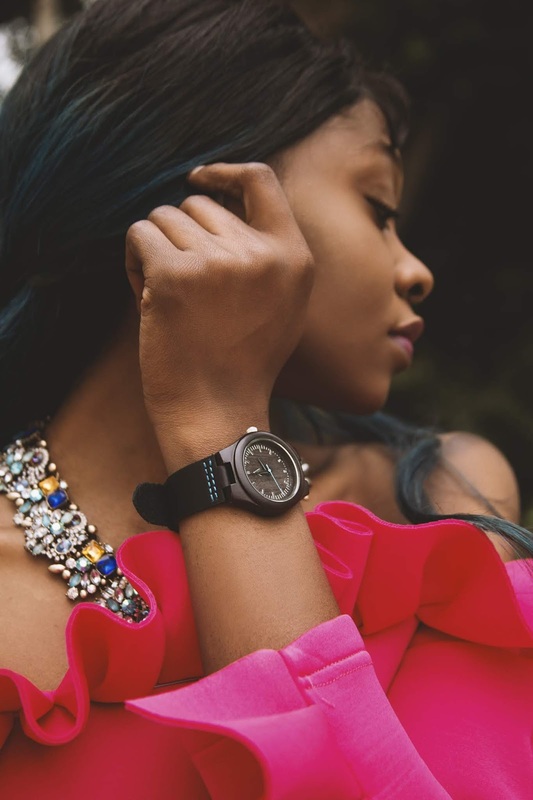 It is Lightweight, comfortable, dark, and stylish, the body of The Theo blue watch is made from high-quality Leather, Powered by Japanese quartz movement to guarantee an Accurate time and Precise Time Keeping with impact-resistant glass. The hours are indicated by thick lines, while the minute lines are thinner and shorter lines. This is a Fashion Looking Watch , Packed with Exquisite Package ,Good Gift Choice to be Sent as Birthday,Christmas ,Holiday etc. Presents. Tree hut watches are splash resistant (Splash/Rain resistant). It's perfect for daily wear, just as long as you are not showering or swimming in them or submerging them in water! Your Tree Hut watch will stay nice and dry! Suitable for everyday use. Round dial design makes the watch unique. The Theo blue wooden watch is a couple set which I will be showing you soon wearing the match in another post. 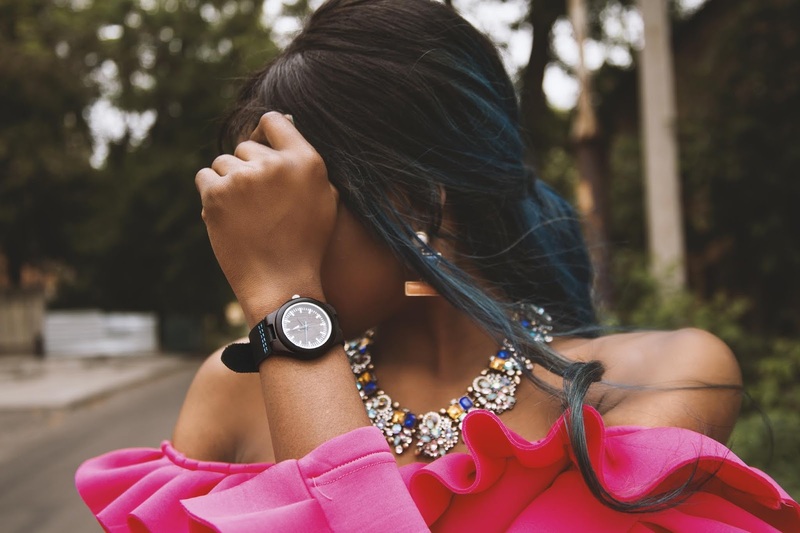 This watch can go from classy to casual which makes it a very important and versatile piece. There are only 33 pairs left and its fast sold out because of the quality. Get the Theo Blue watch on Treehut.com with a Fathers day Sale of off site wide.